Research institutions, universities, and educational nonprofits propose professional development opportunities for their local teachers. Funding is awarded to PD programs that demonstrate a sound pedagogical approach to CS and an ongoing support community that fosters innovation and shared learning. Grantees deliver professional development to educators in their local communities throughout the school year. Grantees and educators join a global community of CS educators to learn and share best practices to amplify their local efforts. In addition to funding, we work alongside grantees so that they have the resources to sustain and scale their PD programs. Grantees are welcomed into a community and are supported to make their PD programs as effective and impactful as possible. We encourage grantees to share resources, best practices and engage with other partners to amplify their impact. Google resources: Access to Google’s CS resources, for example CS First that has been mapped to the Australian Digital Technologies Curriculum. Localised tools: Access to a list of our partners’ local classroom, teacher and advocacy resources to share with your workshop attendees. Partner network invitations to attend workshops, training sessions and events. New Zealand is currently in the process of developing and implementing a new primary and intermediate digital technologies curriculum for grades 1-10. In a country whose population is largely split between rural and urban areas, Tracy Henderson from the University of Canterbury and Julie McMahon from the New Zealand Association for Computing, Digital and Information Technology Teachers (NZACDITT) identified an opportunity to ensure equal access to CS for students and teachers in rural communities. New Zealand’s rural and remote teachers don’t have access to many professional development (PD) opportunities, let alone training focused on digital technologies and computer science (CS). The CS4PD program created by Tracy and Julie aims to tackle this problem by creating regional hubs in the North and South Islands of New Zealand. 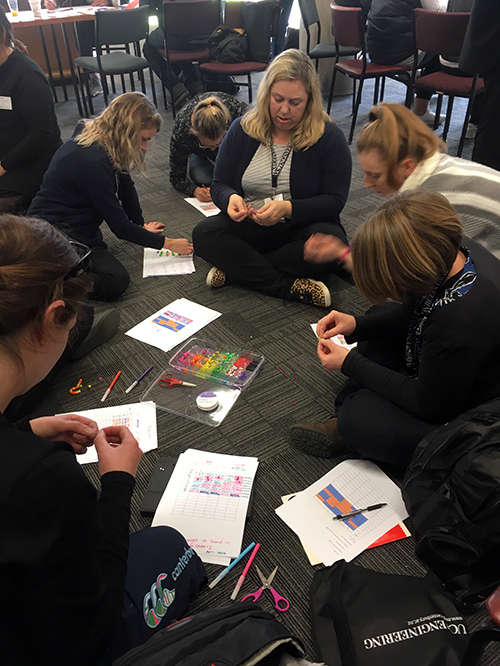 In 2017, Henderson and McMahon hosted a three-day workshop for 55 teachers from primary, secondary intermediate schools across New Zealand. Teachers were introduced to the proposed new curriculum along with accessible, hands on training to run PD for teachers back in their regions. The primary goal in organising this kind of workshop for McMahon was to “be inclusive of all regions and all types of schools”. For the Maori Medium teachers attending, McMahon shared that they “felt valued” and shared “mana”, a Maori term that implies respect and presence, during the workshop. The workshop was a huge success, with 2018 PD plans in the works that include the creation of a resource depository for teachers to access around the island. Henderson says, “We concluded the week with inspired teachers ready to help support other teachers within their regions and schools to implement the new Digital Technologies curriculum in 2018.” The community of teachers created is proving invaluable and the team is already planning for scaling the work in 2018. 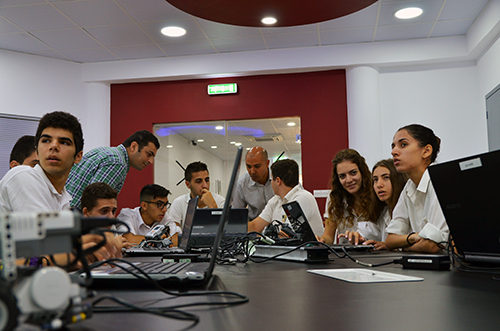 Since its founding in 2009, the Ioannis and Iro Gregoriou Foundation Robotics Academy’s mission is to provide students with opportunities to learn about STEM and leadership through the application of robotics across the island of Cyprus. With the help of Google’s grant in 2015, the Foundation has taught more than 2,000 teachers about using robotics to teach programming and real-life problem-solving skills. Their professional development program includes a variety of presentations, training sessions and small workshops, including workshops at at the University of Bath’s Robotics Open Day. Because they believe robotics is a critical component of computing education, they’ve incorporated robotics into the core curriculum for The Grammar School in Nicosia, Cyprus and in other subjects including Physics, English, Science, Mathematics, Geography and Engineering. Tonia Galati, Head of Innovative Technologies and Robotics at the Foundation, explains, “By introducing Robotics to the multidisciplinary curriculum, we are helping students develop their problem-solving skills, creative expression and innovative thinking, so that the current and next generation are ready to take on the high-tech jobs of the future.” The Foundation is using the model of Robotics in the core curriculum to encourage other schools in Cyprus to follow suit. In 2012, Dr. Yue Li met Professor Hal Abelson, a leader of the Open Educational Resources movement and distinguished professor at Massachusetts Institute of Technology (MIT), during a Google organized teacher conference in China. Professor Abelson introduced Dr. Li to App Inventor, a visual programming environment, created by his team at MIT, for people of any programming background to develop their own Android applications. Dr. Li was intrigued by Professor Abelson’s approach to teaching computer science and applying it to the real world using App Inventor. Yue decided to build an App Inventor professional development program for teachers in Guangzhou city. She was awarded a Google grant in 2014 to host training workshop for the App Inventor platform. She was also awarded in 2015 to expand her program across China for App Inventor master training workshop. Alongside the MIT App Inventor team and Guangzhou Educational Information Center, Dr. Li co-hosted the first International Conference on Mobile Learning and Computational Thinking Education based on App Inventor for over 300 attendees. She also drove the setup of a dedicated App Inventor Guangzhou server with over 270,000 users in China, and co-organized the App Inventor Contest for students from K-12 schools for the past 4 years. Dr. Li’s efforts using the App Inventor platform are perfectly aligned with the focus of China’s national curriculum standards for high school students currently, as mobile application design is one of the elective modules in the national curriculum standards for students. “Google’s educator grants program helps teachers to teach mobile application design course. Starting from 2018, App Inventor will be included in Information Technology textbook for grade 8 (2nd year in middle school) in Guangzhou city, which means there will be 90K students learning App Inventor per year.”, says Yue. Professor Abelson and Dr. Li continue their partnership and dedication to educators in China to this day. 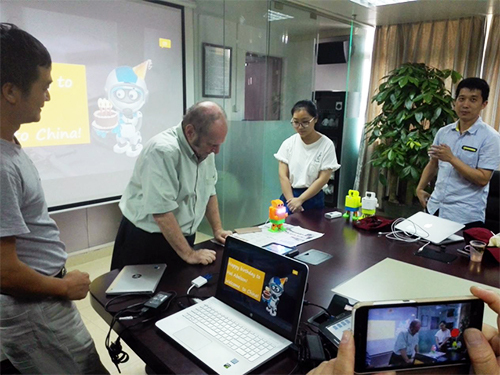 In July 2017, Abelson attended the App Inventor master training workshop in Guangzhou where the teachers built robots to sing happy birthday to Abelson using the App Inventor platform. With generous support from Google, we have been able to upskill in excess of 300 primary school teachers and pre-service teachers and 50 secondary teachers from across the south-east Queensland region. The change in the confidence and preparedness to rollout the new Digital Technologies curriculum has been dramatic. After the workshop I'm becoming a 'Computer Science teacher' and I will grow every year. So, more of this please. Google's involvement in NZ has been a massive benefit to the country, and every teacher I have spoken too has been extremely grateful for the professional development made possible by Google's funding, due to the lack of other resources in the country. The workshop provides a platform for the teachers to share and learn from each other. Ultimately, motivate interest in Computer Science in K-12 Environment, to make the students comprehend the principles of computers and sophisticated thinking of solve problems, fostering students computational thinking, to develop their problem-solving methods and self-access to knowledge. The workshop won huge popularity with the participants as it could better meet the needs of their day-to-day teaching practice in terms of content and form. The goal is to achieve the idea of “Computer Science For All”, which requires the teachers to spread the knowledge and skills they acquired in the program to their students as a whole. This workshop has greatly promoted the popularization of computer education, has pushed the development of the Educational Technology Education forward, and has helped to foster a great amount of IT talents in China. Our initial grants were instrumental in gathering critical mass to form an operational CSTA chapter in Wisconsin. Furthermore, it laid the groundwork for a network of CS teachers around the state to begin sharing resources, advocating for state-level change in the capitol, and advising us at the university level. Over the last four years, we have seen tremendous progress in computer science education and advocacy in New Jersey. I don't think we would have come nearly as far if it weren't for Google's support and the relationships and discussions initiated at the workshops. Thank you. The response to CS professional development opportunities from Texas teachers has been outstanding. If you provide teachers with useful, high quality training and support teachers financially to attend, they will gladly step up to the plate to learn these new skills. Thanks to Google for helping The University of Texas at Austin to create this support network and build capacity to provide CS education to every Texas student. Grants supporting educator PD is one of the many Google initiatives focused on computer science education. Visit our website to learn more other CS programs for your students and classroom.